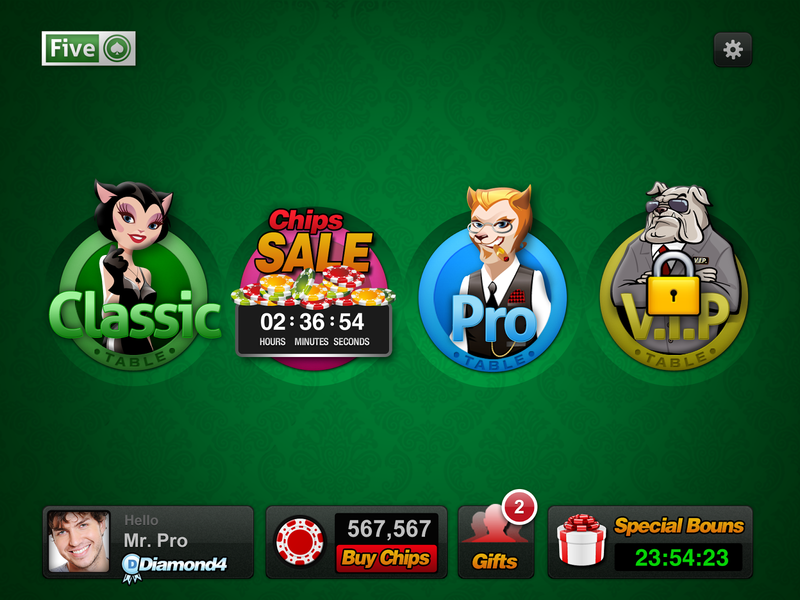 Virtual poker games are so addictive that they even take you to the edge of your seat in almost every session that you’ll have. The likes of Zynga, Texas HoldEm and Poker Palace may have been in Facebook for quite some time giving social gaming thrills to enthusiasts, but there are many Poker-formatted games that are stealing an ample amount of lightning from these big three. Five-O Poker is the better version of the three. 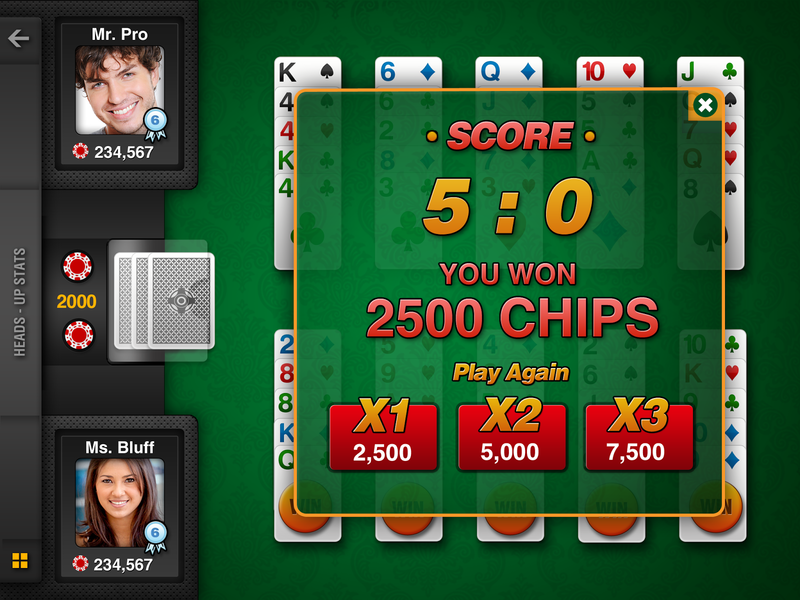 This ChikiGaming-developed game technically gives you five tries to your big win. Same Poker rules apply but this time there are several twist that you would consider for you to master this game. This five-card draw, five-card stud game is unique compared to the aforementioned games. On the start of the game, you will have five hands with only one card in each hand. You goal is to create the best poker hands possible (in all of the five card hands) with the dealer taking turns of giving cards to each player. You can also view two cards from the dealer (top deck) so you could take on strategies beforehand. First four cards in every hand will be visible to your opponent; likewise your opponent could also view your four face-up cards. The last card will be dealt face down, this will then give you the element of surprise in the game. Of course, the column with best card combination wins and player with most winning hands wins the game. The whole user interface is spring clean. It’s very simple and minimalistic. Upon the start of the game, you’ll have a few hurdles figuring out what to do. However, after the dealer starts giving cards, it’ll be easy to go around the app. The game is also backed-up with FAQs from the developers. A chat feature is integrated with player statistics visible in the virtual table – that’s how convenient the game will get to your fingertips. Betting and loading your virtual table is just a walk in the park. And just like any other games, you’ll be receiving a gift if you visit in a daily basis (in-app purchases are also available). Plus, you could easily share your stats online with a Facebook built-in feature. If you’re expecting a bizarre poker experience, this may not be your thing. 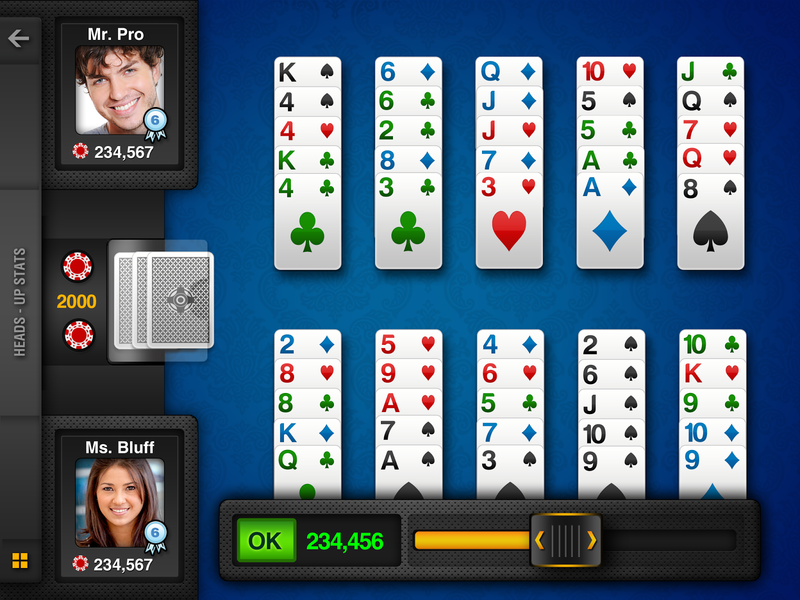 Five:O Poker only offers simple entertainment for those times you’ll have to commute in a train. However, you may get addicted to it like many of its users do. In bad light, a game be forfeited if you won’t do anything within before the prompt timer ends. The option to connect to Facebook when starting the app is also a bit distracting. What I love is the selection between the Classic and Pro mode upon opening the app. 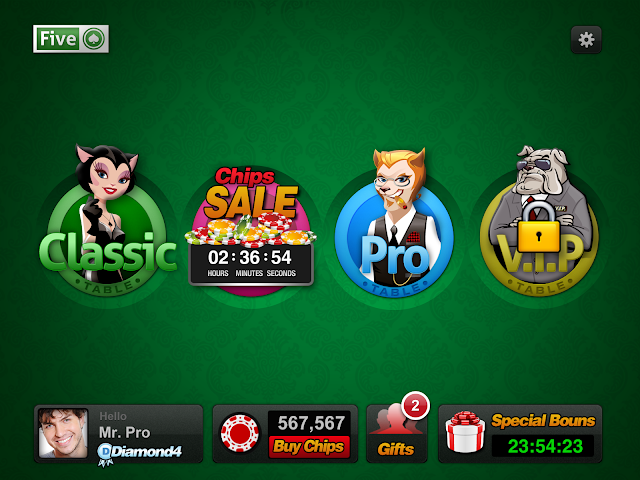 Likewise, the new user experience that it offers compared to any other poker apps is also a breath of fresh air. Multiplayer features are also rewarding and most off all, you can’t track the time when you’re playing with this app – it’s “bubblegum pop” addictive.